Grapevine Evaluations is an indispensable tool for HR Departments, Management and Consulting Firms to gain valuable insights into employee performance, providing a 360 degree evaluation in a customized, detailed and comprehensive report. Grapevine Evaluations, a web-based 360 degree feedback and performance review software, is making a mark in the HR industry with easy to create, manage and distribute employee evaluations at the click of a button. The value of any employee survey lies in the reporting and Grapevine Evaluations has recently enhanced reporting features to include new graph options to facilitate the analysis of results, and customized report groups for easy comparison against company, department or team averages. Other 360 performance evaluation reporting improvements include the ability to add custom introduction and conclusion page with signature line, advanced customization of static text to specifically tailor reports for the company, control over what pages or sections to include in the report and the order in which they are presented. Grapevine Evaluations 360 degree performance review and feedback reports have multilingual capabilities, and include the ability to automate the distribution of reports to employees, managers and other relevant parties. While traditional HR performance reviews are a useful tool for employee evaluation, 360 performance review software provides an opportunity for an all-encompassing performance assessment, including evolutions from peers and coworkers. These performance reviews are key to not only identifying individual strengths and weaknesses, but also hidden talents and competencies that might not otherwise be discovered by traditional methods. The 360 degree assessment tool provides valuable information to all levels within a company. For teams, a 360 evaluation can help improve synergy, communication and effectiveness by providing each individual the opportunity to provide feedback, better understand each other and their contributions to the team. For leaders, the anonymity of the survey leads to more honest and accurate feedback from multiple perspectives, and identifies areas where they can improve their own management strategy and encourage an atmosphere of learning and growth within the company. There’s no question as to why Grapevine Evaluations has become the one-stop-shop for HR professionals across the globe, their employee assessment software is highly customizable and can be tailored to the needs of any company. Employee evaluation survey questions can be created from scratch, or by selecting populated questions from Grapevines extensive template library. 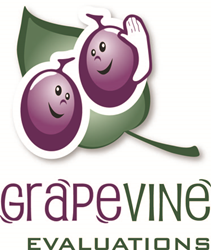 The Grapevine system is fully automated, once the survey is created, all participants are easily uploaded and sent a notification email with a link to the evaluation, there is no need to individually follow-up with each participant. Survey results can be viewed electronically, in real-time, through a comprehensive graphical report. Grapevine Evaluations is a web-based software solution for performing employee evaluations of any size, at any level. Grapevine has been serving the HR industry for over 10 years. Whether it is a 360-degree feedback survey, employee assessment or multi-rater feedback survey, Grapevine has a cost-effective solution for every evaluation need. The Grapevine team is committed to their customers, providing excellent service, complete data security, and confidentiality.